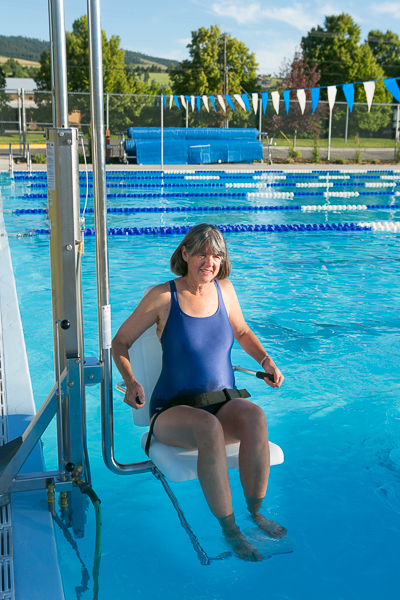 The Gallatin water powered assisted access lift is designed to accommodate both in-ground pools and spas without customization. 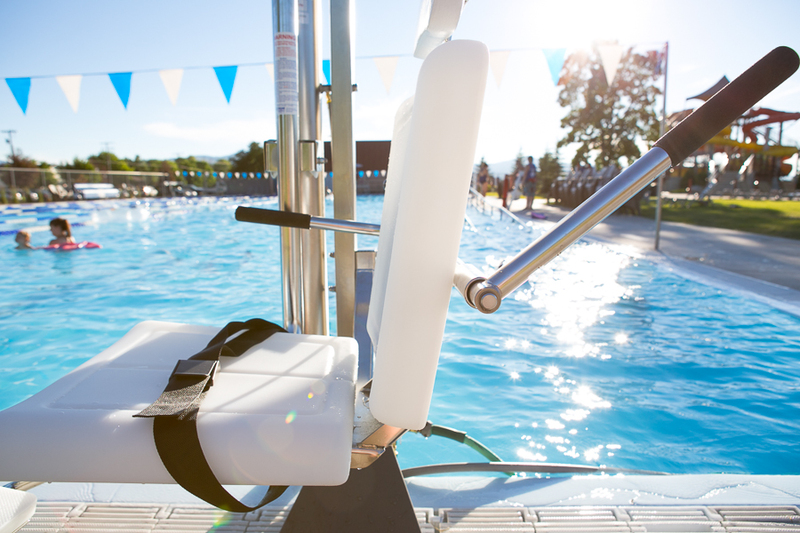 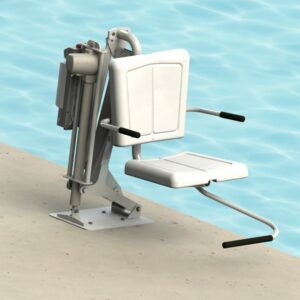 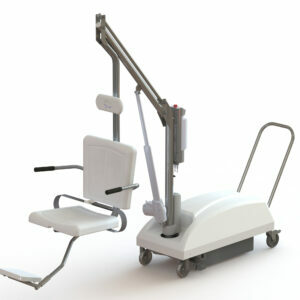 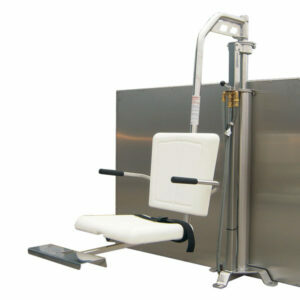 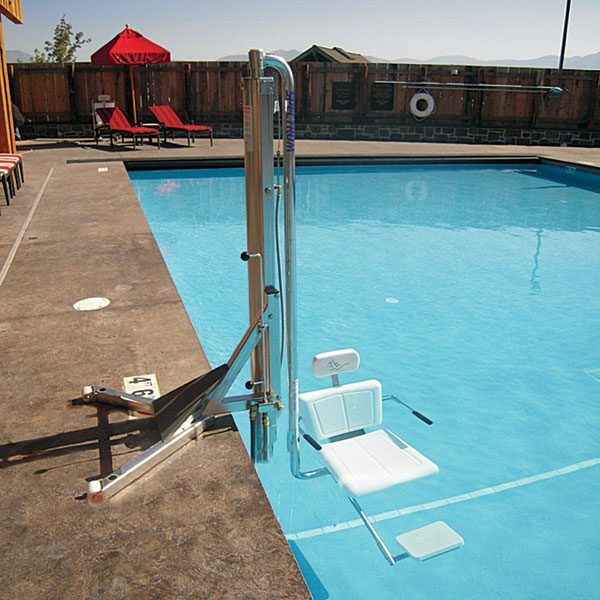 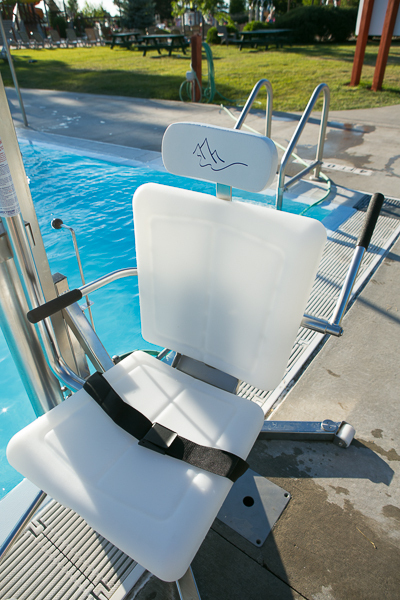 The Gallatin pool and spa lift requires no more than 12″ of total depth (deck to floor/bench) for proper installation. 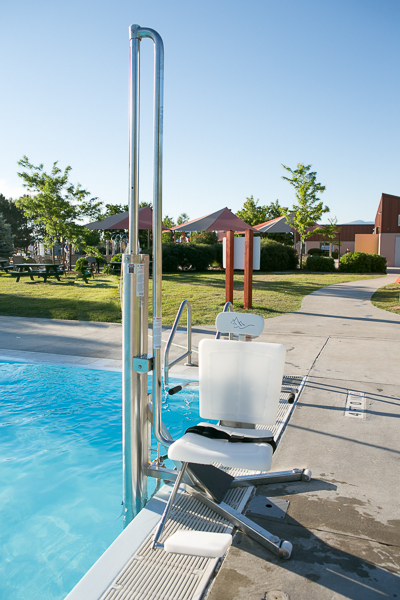 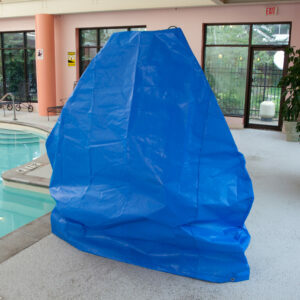 The standard unit will accommodate anchor locations of 18″ to 30″ from the pool wall.